Ahoy there! 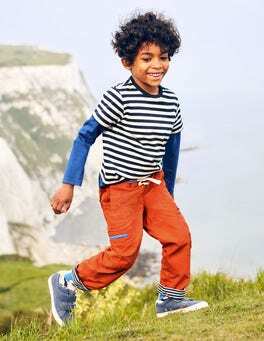 Pull on a pair of these nautical trousers and get to action stations. 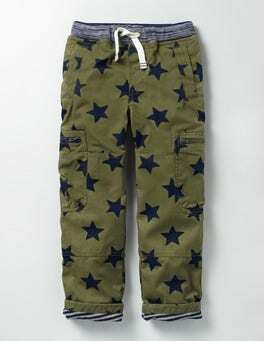 They look shipshape thanks to a striped waistband and turn-up cuffs. 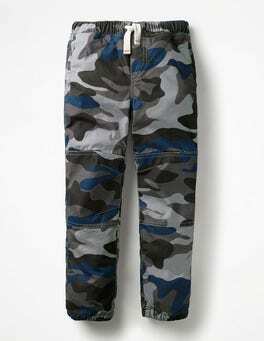 And with the camo print lining, big pockets and reinforced Warrior Knees, they're ready for anything. All hands on deck. 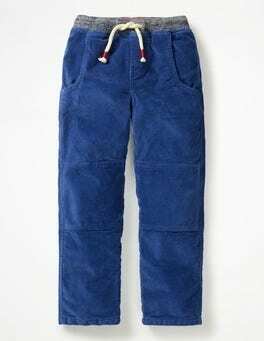 For those days when only supreme comfort will do, pull on these easy-to-wear 100% cotton joggers. 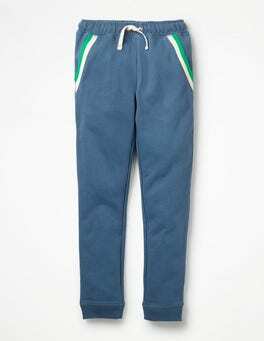 They may appear relaxed, with their laid-back fit and cosy jersey lining, but they’re made from tough stuff. Check out the Warrior Knees, which are reinforced to stop rips in their tracks. Trousers don't come much tougher than this. 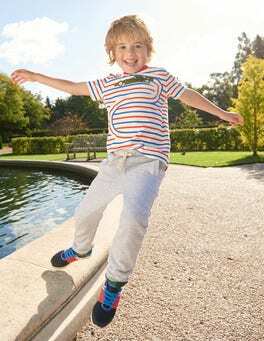 They're made from our special super-strong fabric for protection against bumps and scrapes. And they're fully lined with jersey so that they're warm and cosy, too. 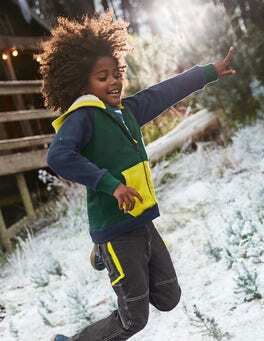 The zip-up pockets keep bits and bobs safe during speedy skateboard races. These ridiculously-comfortable pull-on trousers are ready for all adventures. 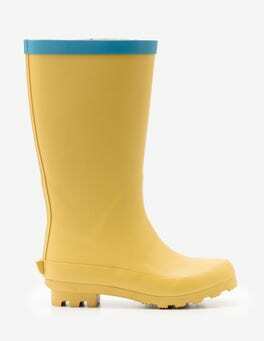 They're made with reinforced Warrior Knees and durable cord that can withstand all your fun, while the soft jersey lining keeps the goosebumps away. Announcement: we've created the most comfortable pair of joggers ever. 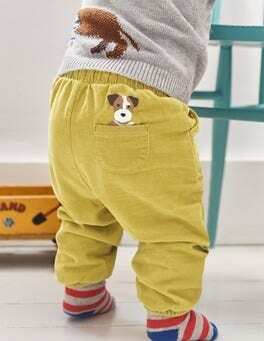 They have a fluffy fleece lining to keep legs nice and toasty on grand adventures. Why not complete the set with one of our matching sweatshirts? 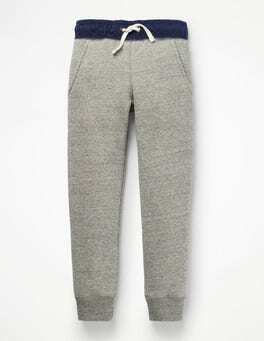 Roll up, roll up for these laid-back sweatpants – and check out their fun hidden stripy lining. 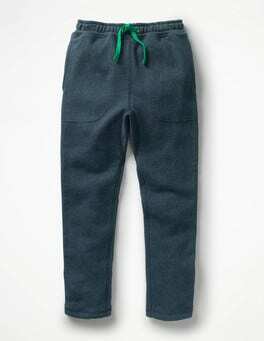 Crafted from 100% loopback cotton, they're as cosy as favourite pyjamas for lounging at home, while a drawstring with contrast stitching keeps everything in place when they're running around. Clothes that grow with baby? 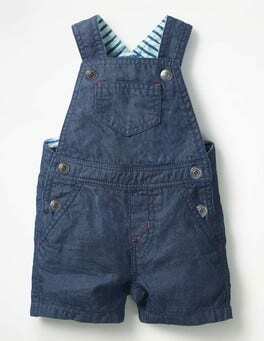 No, it's not science fiction; these dungarees have adjustable straps so they'll stay the distance. 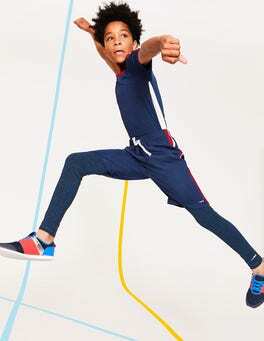 There's three designs to choose from and they all feature a striped jersey lining to keep them supersoft against young skin. 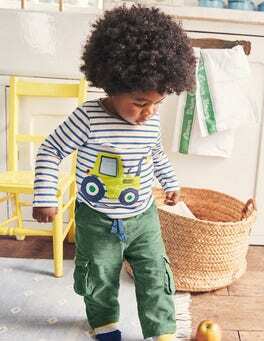 Get your baby all dressed up with our comfortable, colourful and classic trousers – just the ticket for putting together an easy outfit. The ribbed waist means they're simple to pull on and off, taking (some of) the pain out of speedy on-the-go nappy changes.